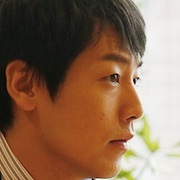 Satoru Fujinuma (Tatsuya Fujiwara) is an unpopular manga artist. He doesn't like having relationships with other people. He also works part-time delivering pizzas. 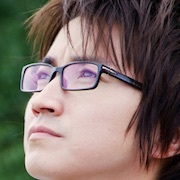 Satoru Fujinuma also has the special ability of "revival." His special ability allows him to go back in time before terrible incidents occurred and right whatever wrong occurred. He goes back continually until the incidents are prevented. 18 years ago, a serial murder case took place with the victims being children. 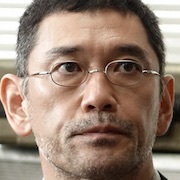 Satoru Fujinuma goes back to that time to catch the killer and to save his mother who faced the criminal. He does this in the body of an elementary school student. Based on manga series "Boku Dake ga Inai Machi" by Kei Sanbe (first published July, 2012 in magazine Young Ace). 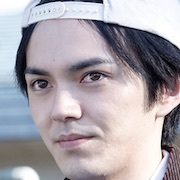 Ryu Samuël Apr 16 2019 5:53 am The ending moved me despite the fact that I wanted Airi to remember him. Scott Feb 17 2019 10:38 pm A fine first 9/10s of the movie completely ruined by the last 1/10. Probably the worst ending to a movie that you’ll ever see. Maria Raaymakers Jun 06 2018 6:52 am I love this movie!!! And Tatsuya Fujiwara!! It's so close to the anime... except for the ending. Why make it a sad ending?? Why ruin it like that?? Love evreything about the movie except the ending. Shiwase Oct 24 2016 7:08 am The anime become number one on anime trending page on Facebook. It really really sad that Fujiwara-kun died in one slit of Ice pick. Kyuuta Oct 03 2016 7:27 pm Wtf they've changed the ending D:::: Imo the anime & manga version was so much better, maybe they wanted a more dramatic end to generate viewers or something?! Overall despite the sucky ending i kind of like the movie especially the actress playing Airi (Kasumi Arimura). katya Sep 15 2016 9:22 am Great movie, great actors (especially kids). I just didn't like the movie ending much - it felt a bit rushed. I'm curious, though, what other people who saw the movie will make of it. Wulan Aug 14 2016 10:30 pm havent finished watching the anime cause the anime isnt my type of anime. but I just saw a news about this and I know Tatsuya Fujiwara so I'll take a look at this haha. Agnes Mar 25 2016 12:58 am read the manga, watched the anime, i am sooo ready for this! Jeffrey Kehoe Mar 17 2016 6:21 pm I really hope this comes out with an English subtitled version soon! I loved the manga, and I had hopes that the anime would stay true to the manga for more than the first eight episodes. Unfortunately, what should have been either a two season series or a 20 episode series got abbreviated into a story that didn't do justice to the masterful writing and character development of the manga. It was still good, but not the masterpiece it should have been. This preview gives me hope for the movie to do better (especially the relationship between Satoru and Airi). choensa Jan 20 2016 6:08 am I didn't read the manga,but the story is similar to drama "Tru Calling"....am I wrong?